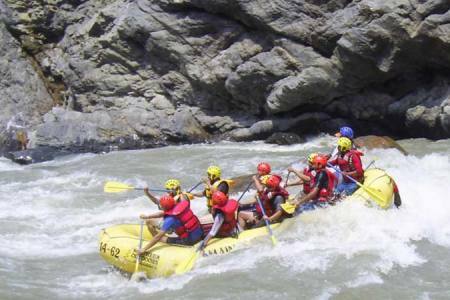 Karnali River is one of the finest big volume rafting and kayaking trips in Nepal-spectacular, remote, jungle-clad canyons, big white and abundant wildlife. The Karnali is Nepal's longest and largest river and with its tributaries it drains most of the far west of Nepal-the 'wild west' as many people call it, rising in the vicinity of Tibet's holy Mount Kailash and glacier of Kanziroba Himal, other small peaks, as well as Rara lake rapid encountered on this river is 1 to 5 class. The river section takes about seven days, giving plenty of time to explore some of the side canyons and waterfalls, which comes into the river valley. For 180 kilometers, we won't see a single sign of the modern world. The rapids are also pretty wild, with the river building to its climax in these lower canyons shortly after the sharp bend in the river 'the elbow' by the Lohore Khola, the valley narrows into a series of canyons, the river speeds up, almost continuously down to the Seti river from the 'Elbow' down to the Seti the gradient is 3m/km (15ft a mile), but after here, the gradient eases, as the river winds through some magnificent un-spoilt scenery, eventually emerging onto the plains and flowing through the Bardia National Park to join the Ganges. 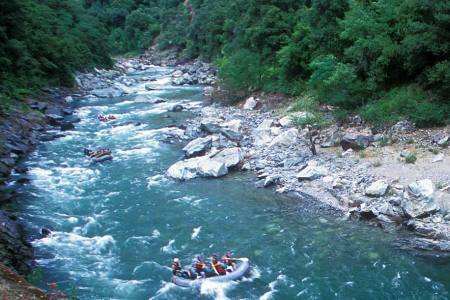 Day 02: Driving and few hours trek will take us rafting point and this day overnight at camp. 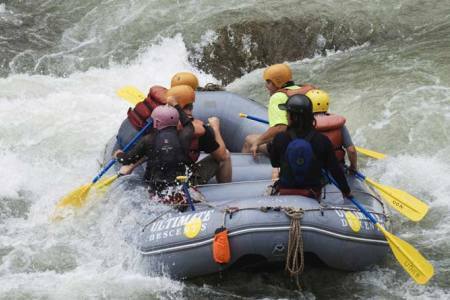 Day 03: Day 03-08: Rafting with the best rapids including 'Jail House' and 'Gods House'. Rest day, beach party, go on a day hike, relax on the sandy beaches or play a few games. 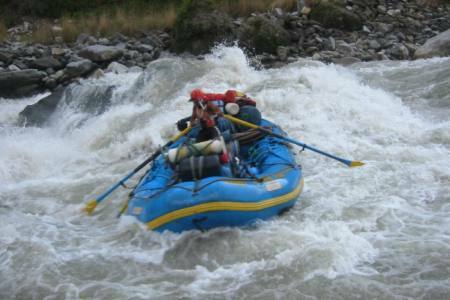 Day 09: Last day on water which ends at Chisopani, unload the gear, lunch and back to Kathmandu. Day 10: 18 hrs driving will take you back Kathmandu or flight in option. Day 02 Driving and few hours trek will take us rafting point and this day overnight at camp. 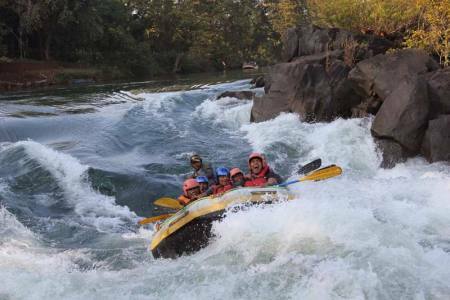 Day 03Day 03-08: Rafting with the best rapids including 'Jail House' and 'Gods House'. Rest day, beach party, go on a day hike, relax on the sandy beaches or play a few games. Day 09 Last day on water which ends at Chisopani, unload the gear, lunch and back to Kathmandu. Day 1018 hrs driving will take you back Kathmandu or flight in option.